2018 Record: 44-18. RPI: 16. Coach (Record at school): Cliff Godwin (154-91-1, 4 seasons). Ballpark: Clark-Leclair Stadium (5,000). Postseason History: 29 regionals (active streak: 1), 0 CWS trips, 0 national titles. More: Fall Report on East Carolina. Schedule, Stats, Team News: Follow the Pirates all season long at our East Carolina Team Page. 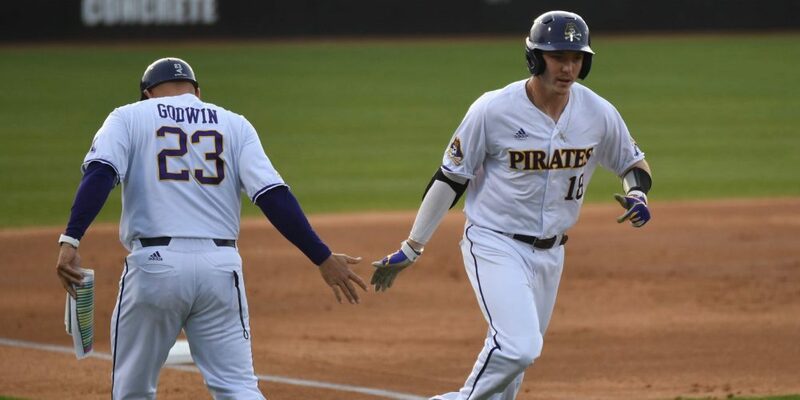 The Pirates bring back eight players who logged at least 100 plate appearances for a balanced offense that ranked 42nd nationally in batting average (.288) last year. The talented but oft-injured Dwanya Williams-Sutton is gone, but there’s still plenty of star power remaining, along with some rock-solid veteran role players and several intriguing breakout candidates.